During the summer, I haven't baked much cookies. But all of the sudden, it is October and for the first time in my life I am already thinking of Christmas. I used to hate it, when Christmas sweets were available in the shops from end September on, as it seemed so far away. Suddenly I don't. I think I am getting old. 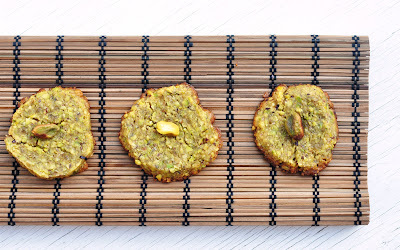 Pulse pistachios, ginger and sugar together in a food processor until nuts are finely chopped (but not ground), then stir together with remaining ingredients in a bowl. Knead until dough holds together. If it's too crumbly too hold, add a few drops of water. Form a log (ca. 2 inch diameter) and wrap tightly in plastic. Refrigerate for one hour. Preheat oven to 160C (325F). Line baking sheet with parchment paper. Remove plastic from the log. Cut slices off the log, each one about 5mm or 1/4inch thick. 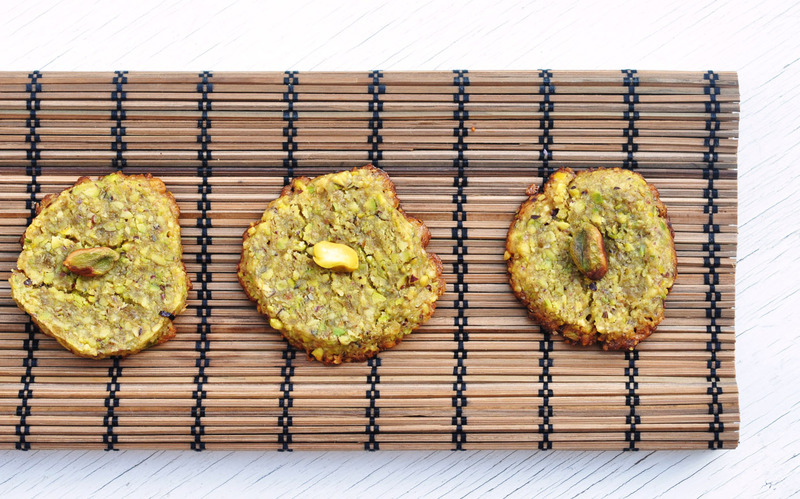 Place each slice on the baking sheet and garnish with one whole pistachio by pressing it gently into the cookie dough. Bake for about 8-10 minutes or until slightly golden. Let cool completely on wire racks. Keep in airtight container.